For over 13 years, from the stage to the silver screen, Steve Rannazzisi has made audiences laugh. Currently, Rannazzisi stars and writes alongside Katie Aselton, Mark Duplass, Nick Kroll, Jonathan Lajoie, and Paul Scheer on the critically acclaimed FX Network comedy series, The League, which is produced by Jeff and Jackie Schaffer. Steve plays “Kevin McArthur,” the fantasy football league commissioner on the show, which is in its 7th and final season and airs on Wednesday’s at 10pm on FXX, FX’s sister station. 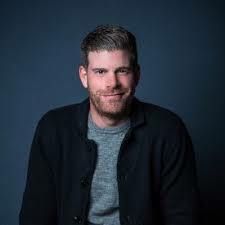 Rannazzisi recently filmed his second, one-hour comedy special, Breaking Dad, at the historic Wilbur Theatre in Boston. The special premieres September 19th on Comedy Central and follows Rannazzisi’s 2013 critically acclaimed Comedy Central special “Steve Rannazzisi: Manchild.” Earlier this year, Rannazzisi wrapped up his national Strawberry Blonde Ambition comedy tour and he is currently the spokesman for the sports restaurant, Buffalo Wild Wings. Rannazzisi emerged on the scene in Los Angeles after leaving a desk job in New York where he grew up. The Long Island native graduated from the State University of New York at Oneonta. Pursuing his dream, Rannazzisi moved to Los Angeles and began performing at the world-famous Comedy Store on Sunset Blvd. where he honed his skills amongst comedy veterans such as Eddie Griffin, Joe Rogan, and Andrew Dice Clay. He quickly caught the attention of Ashton Kutcher and got his first taste of television as a cast member on MTV’s Punk’d in 2003. After his success on Punk’d, he was cast as a series regular on the ABC sitcom, Big Day, opposite Krysten Ritter. Further proving his comedic acting ability, ABC again cast Steve in See Jayne Run, where he costarred Heather Locklear. Rannazzisi has also appeared on Kitchen Confidential alongside Bradley Cooper, Samantha Who? with Christina Applegate and additional shows such as State of Romance, Love Bites, Trust Me, Outsourced and his own web series Daddy Knows Best. Along with his flourishing career in television, Rannazzisi is also a prolific standup comedian. His standup has appeared on Comedy Central’s Premium Blend and is featured in the standup special Pauly Shore & Friends. On the silver screen, Rannazzisi appeared in the 2009 blockbuster comedy smash hit Paul Blart: Mall Cop alongside Kevin James and Jayma Mays. He also appeared in the family comedy, Imagine That,with Eddie Murphy in 2009, and For Your Consideration, a comedy set in the mid-1940s with Catherine O’hara and Eugene Levy. A diehard NY Giants, Yankees, Knicks & Rangers fan, Rannazzisi currently resides in New York and Los Angeles with his family.